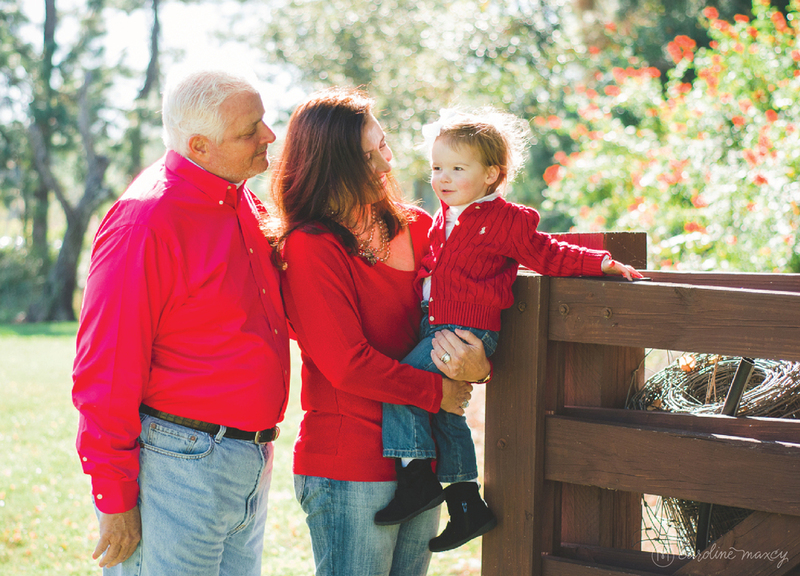 This past year I got to spend many lovely fall afternoons with sweet families across Highlands County and Central Florida. 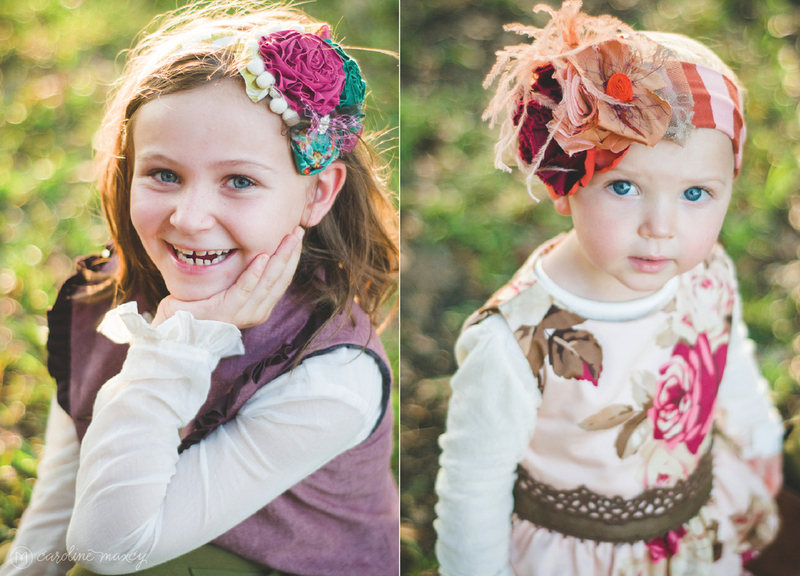 So here it is, a peek into Caroline Maxcy Photography's 2014 Fall Family Sessions. 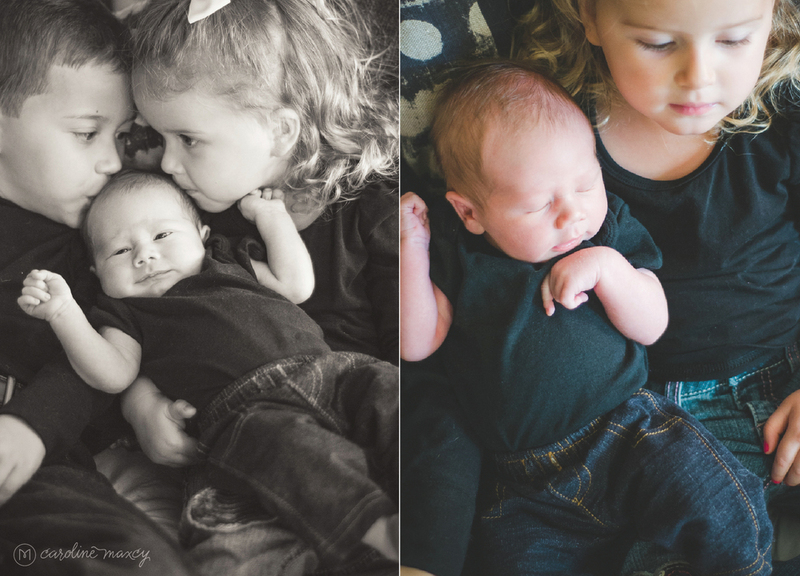 This family of three is just the sweetest and Erica, having a bit of a photographer's eye herself (and one of my Highlands Art League Photography Classes attendees too!) picked us out the most gorgeous back country road for our photo spot on the perfectly sunniest of days. 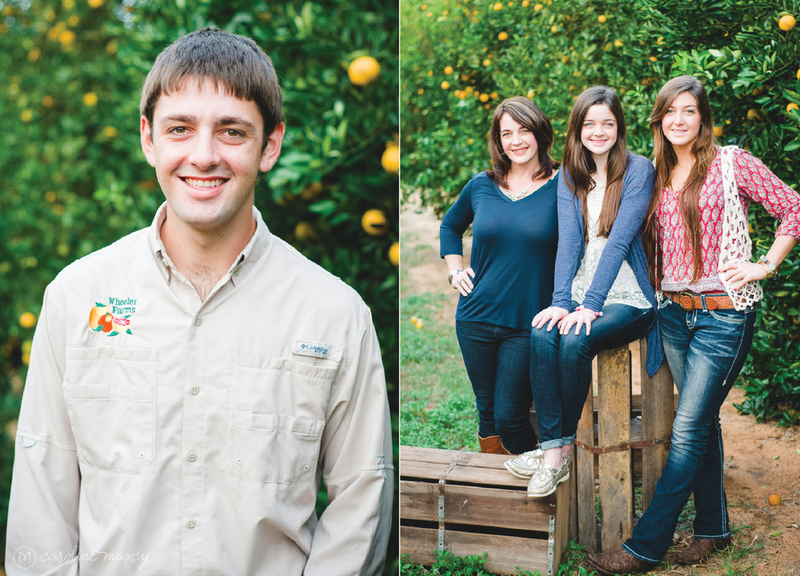 This family is near and dear to my heart (and is also pretty darn sharp too). Take note parents of youngin's. The Price parents brought along a babysitter for their shoot and the kids and the sitter out with me and my camera first. Light bulb! 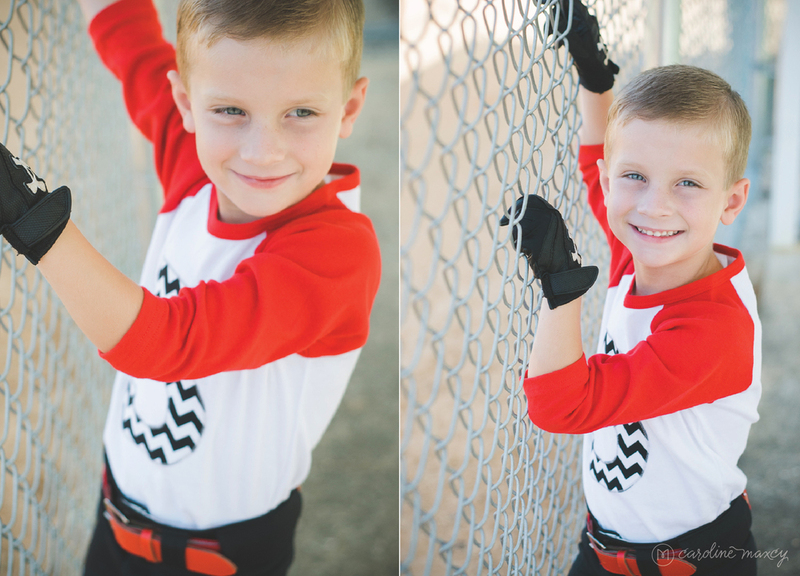 I got to capture sweet pics of the kids first (with out all the shenanigans that always seem to happen with the parents come into view). And then we got to get some of the shenanigans too! 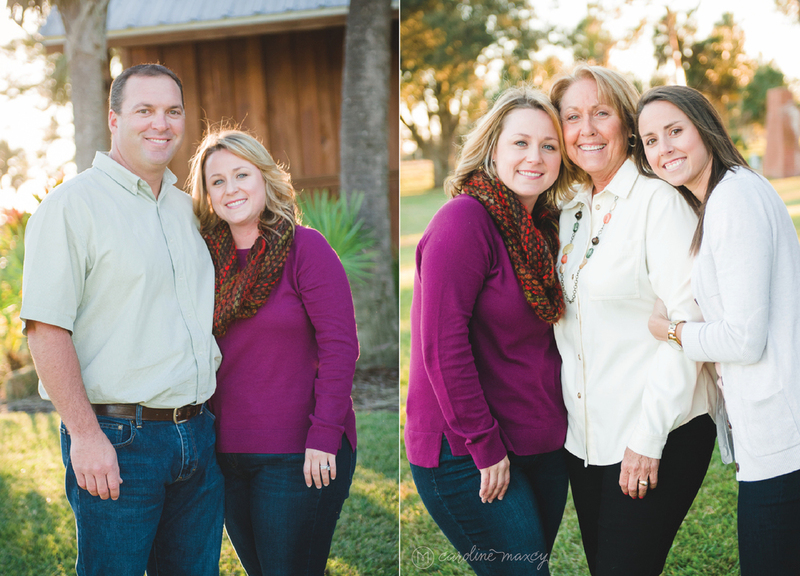 I meet this sweet family for the first time when I pulled into their drive with my camera in tow and they immediately melted my heart (especially when Mr. Johnson told me his fond memories of my dad being always a jolly man. He definitely was.). 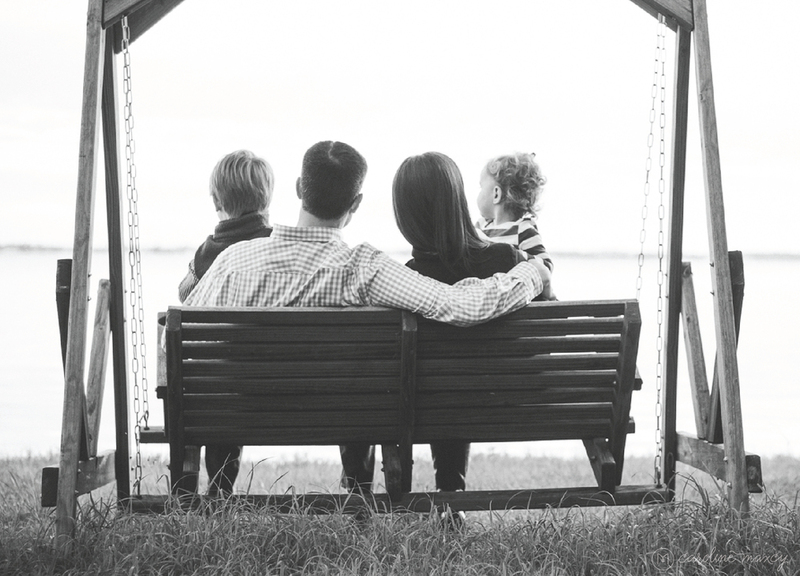 I do tend to have a soft spot for those families with three kids (boy, girl, girl in order of age and spread out just the same amount as my brother my sister and I. And all with such room brightening smiles.) We all giggled at the similarities on our drive to the photo spot they picked. What a spot. 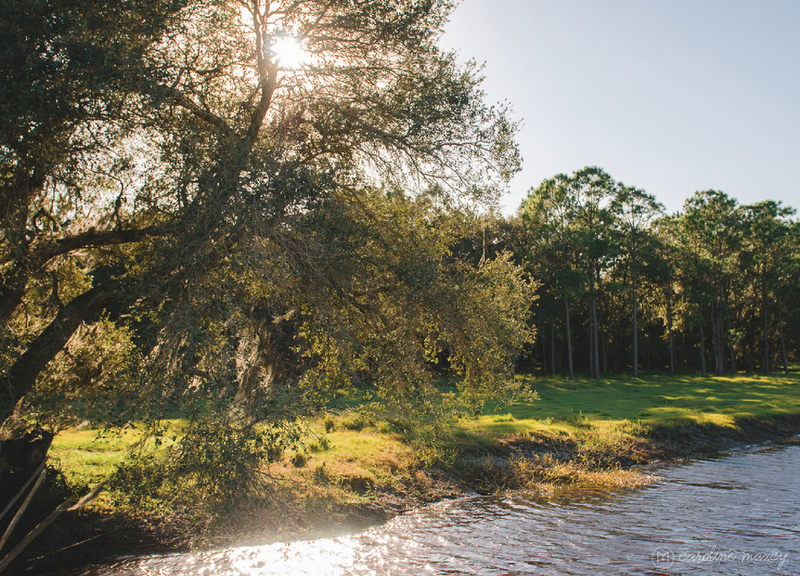 We had free reign on the most beautifully old Florida pieces of land completely with a lake side hammock and and a giant oak basking in the golden hour sun. 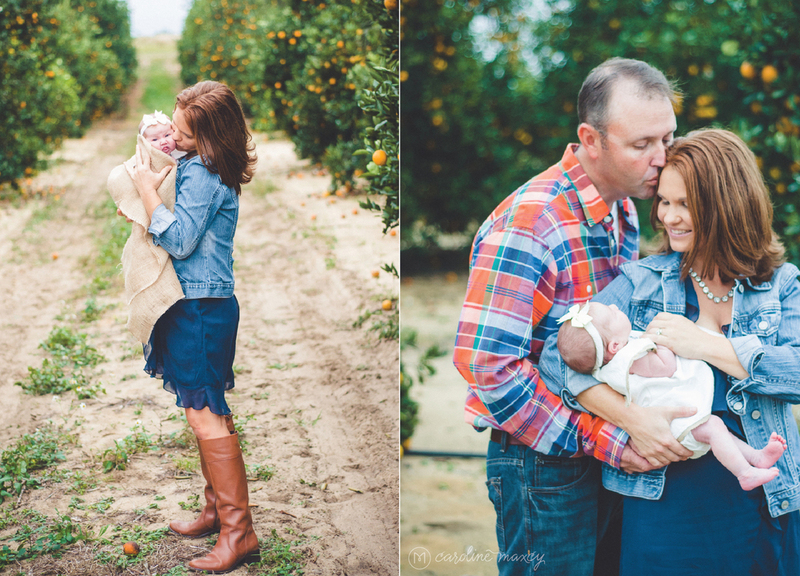 Couldn't have been a better day for photos with such a truly sweet family. Year after year I get to hang out with this family with my camera in tow for a sweet fall hour or so and year after year I am blessed. 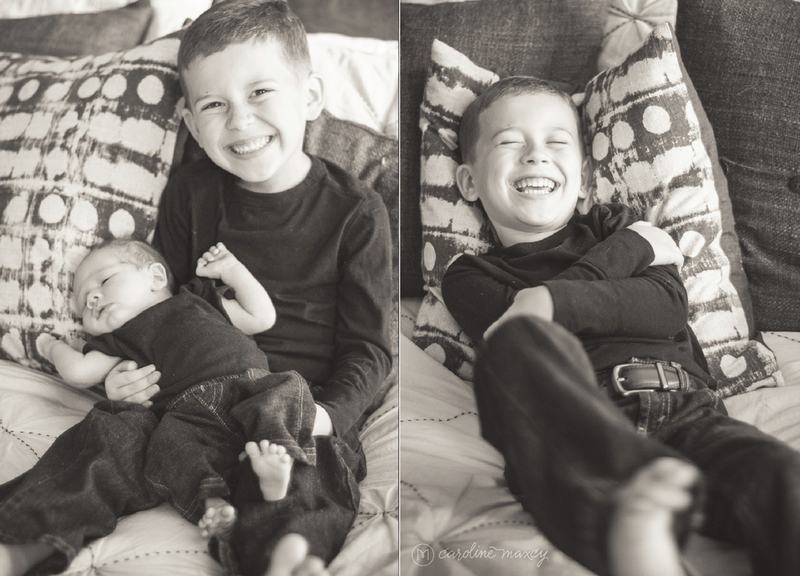 These guys have the photo taking down to a tee. They are seriously good at it, only because they are seriously the real deal. 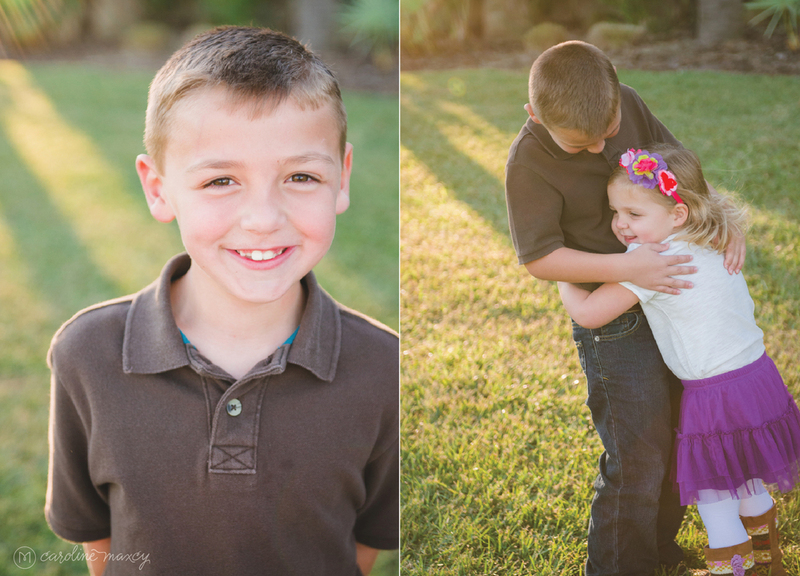 So much love between these three and I love getting to capture it. Oh my this family is just gorgeous and momma Denise always has them looking simply beautiful for photos year after year. 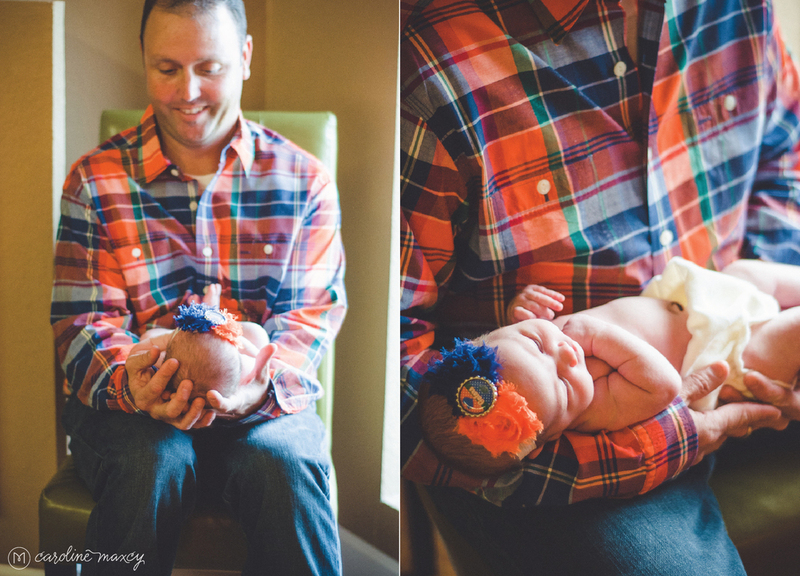 I am a big fan of color and she does it just right! 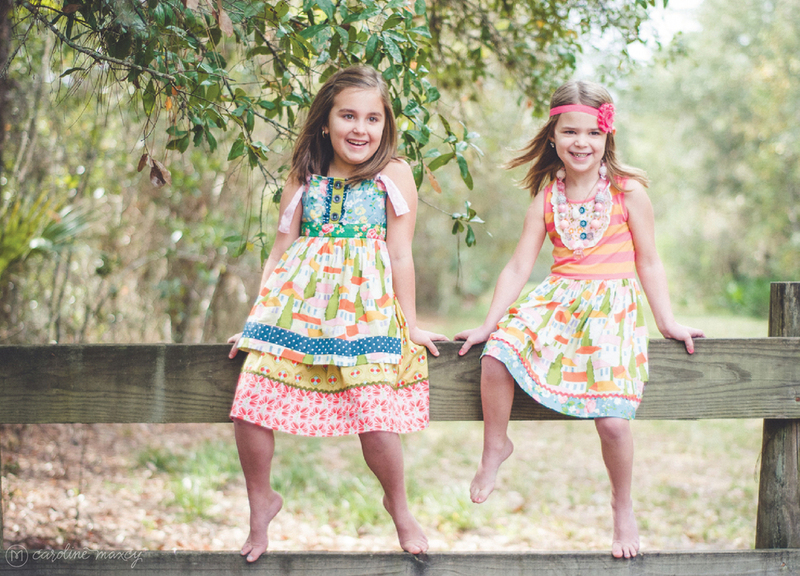 Plus you have the two cutest of girls both striking in their own way and simply a joy to follow around with my camera. 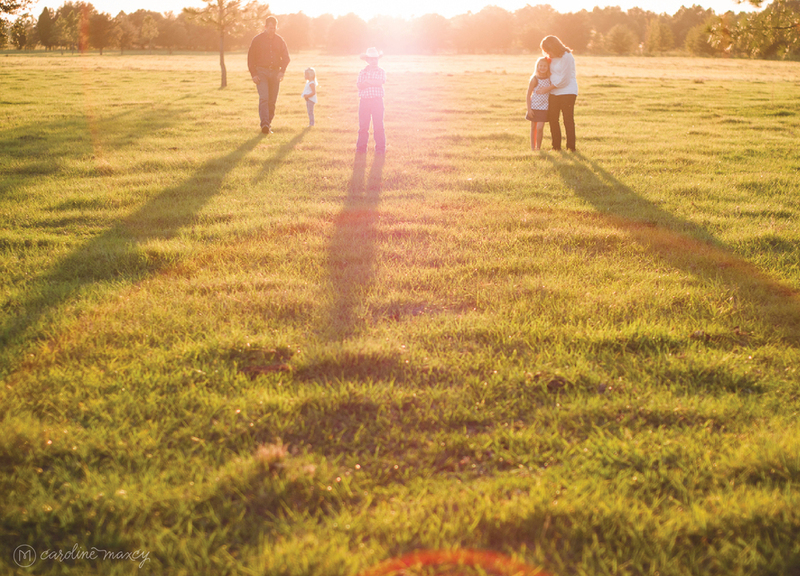 We meet at the main road and piled in together to bump along across pastures and down winding roads (spotting flocks, literally, flocks of bald eagles and white tailed deer) to our photo location at "the ranch" arriving just in time for the glowing in the golden hour light. I love it! I've been a dear friend of this little momma since grade school and I have loved watching her adorable family grow throughout the years. 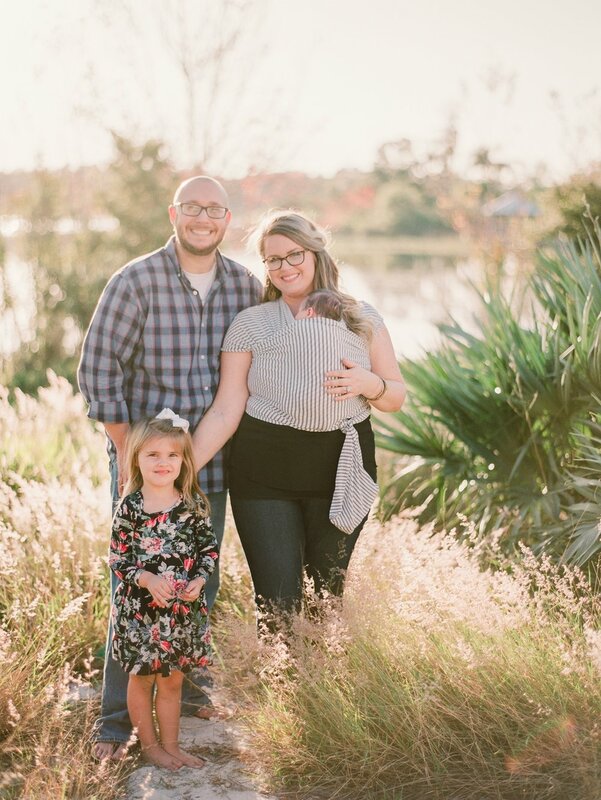 When our Orlando, FL session at their new home got rained out (literally tornado warnings the day we had scheduled) we opted for a day before Thanksgiving hometown session in Stephanie's parent's lakeside backyard at sunset. 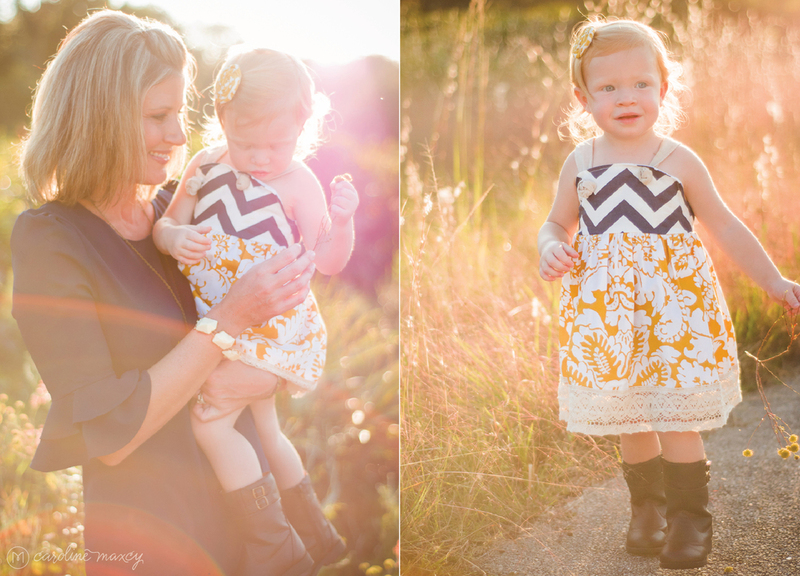 If the session wasn't cute enough, we were blessed with a spectacular sunset and a perfect lakeside view. 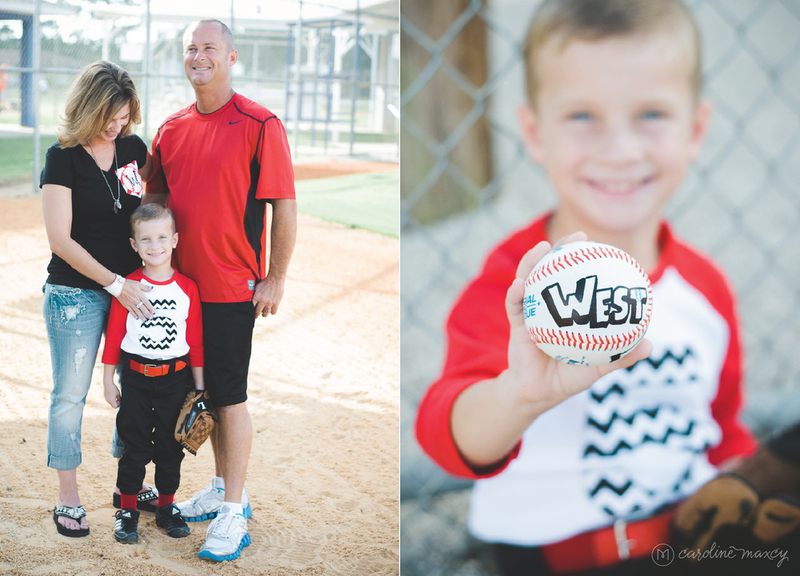 Can't wait to photograph the extend Weisz family again next month! These guys are my kin (can't you tell by the incredibly good looks?) 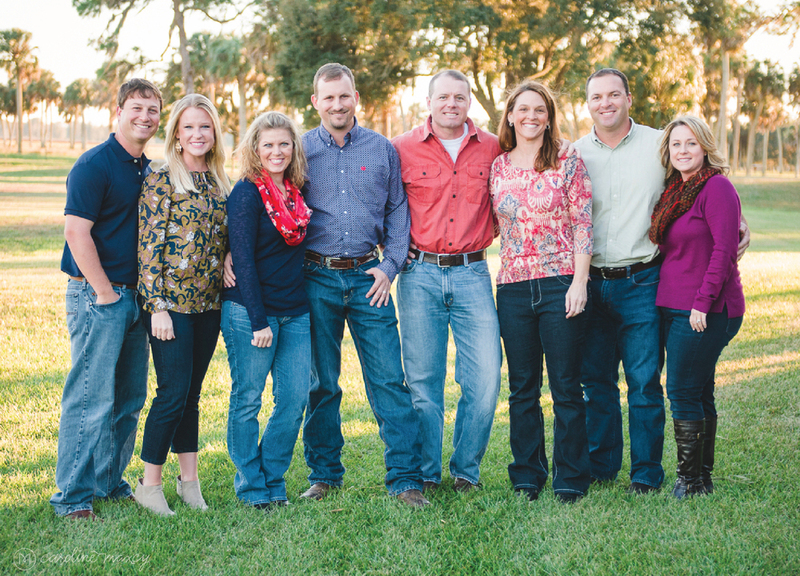 and my cousin Angie (mom of this crazy crew) was actually my roommate for half my stay at Florida State University back in the day (DO NOT ask her for stories. Seriously though... Haha.) She and I also have been working out together before the sun comes up for few months now in this little group called Boot Camp at our local YMCA and I am so proud of us (seriously, if you know me you know that I am not a morning person. at. all. Big sacrifice.) And the plus side is that you get to eventually look as good as Angie! 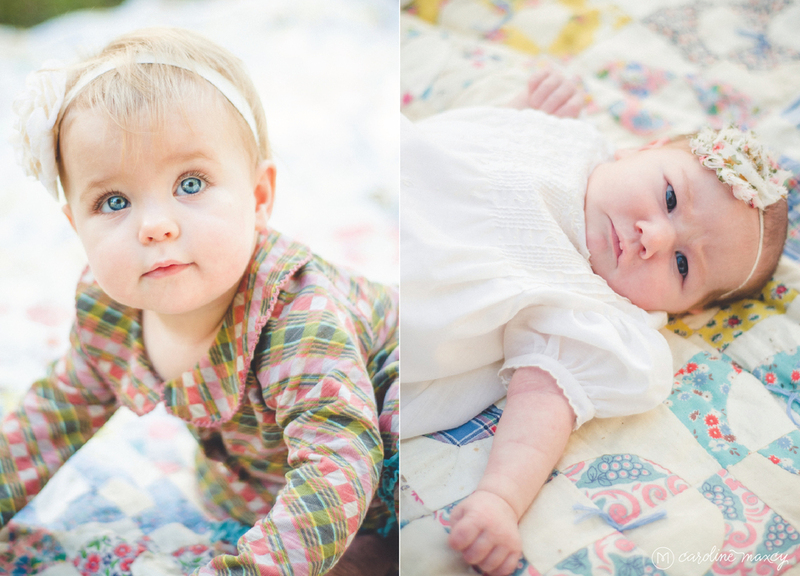 Then you add in the rest of her cutie-pie family and you get photos as lovely as these… I love this family! 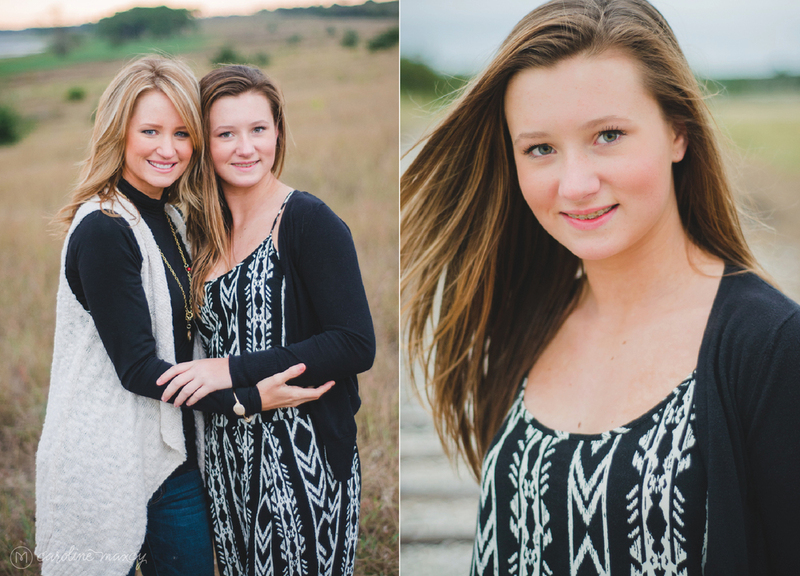 I get to capture this sweet family of three year after year and have loved watching little Savannah grow into such a precious young lady. We also, year after year happen to pick the windiest of windy days to capture our lakeside photos, so we have to get a bit creative and avoid the lake. Haha. 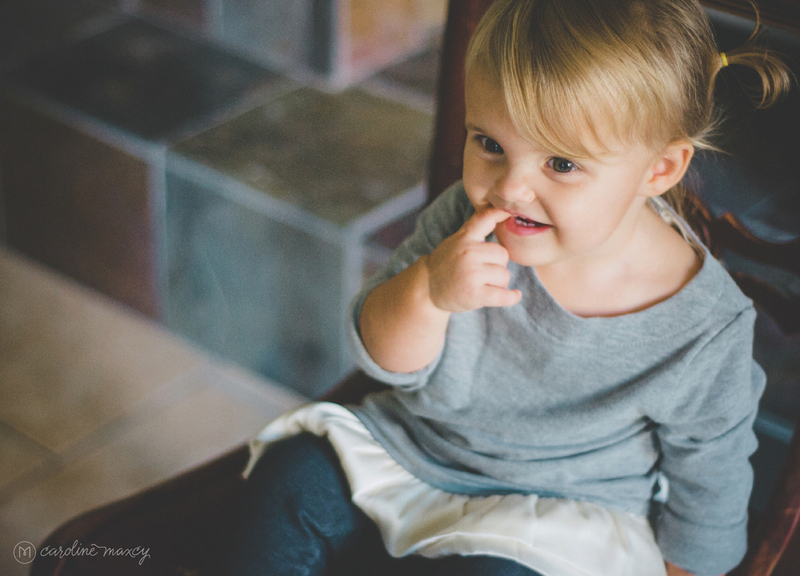 But I always love the creative results and the sweetness I get to capture along the way. Here we have another sweet family three that I meet for the first time when I stepped out of my car at their home with my camera in tow. And from moment one we had nothing but smiles from their little sweetheart. 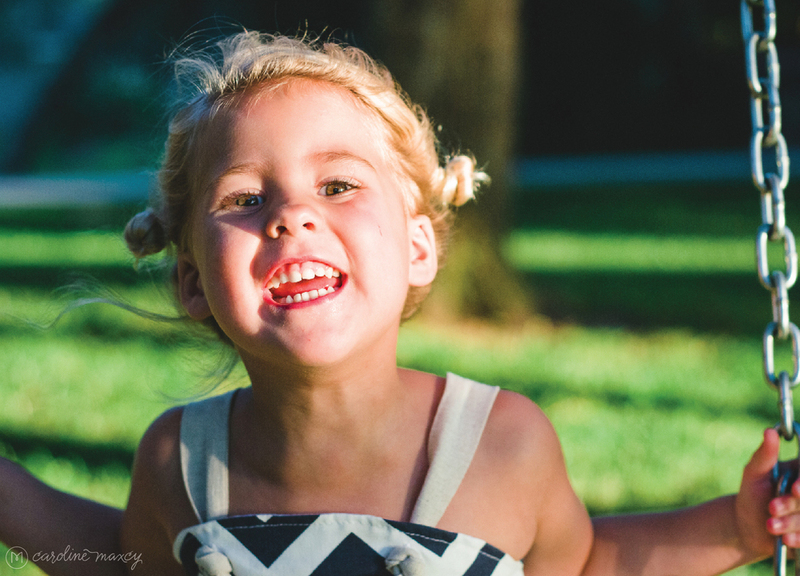 What pure joy I got to capture and lots of true love I got to marvel at through my lens. Thanks for inviting me! 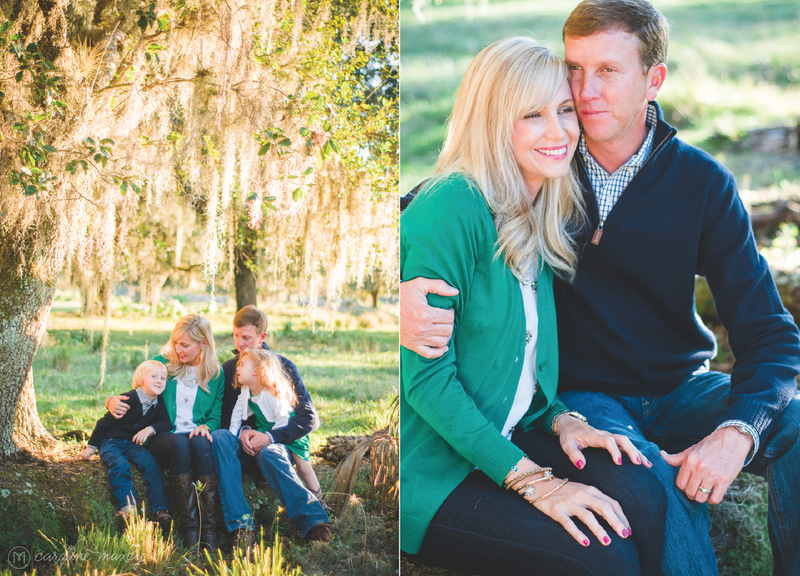 I love that I get to wrap up my fall family sessions with this family of five. 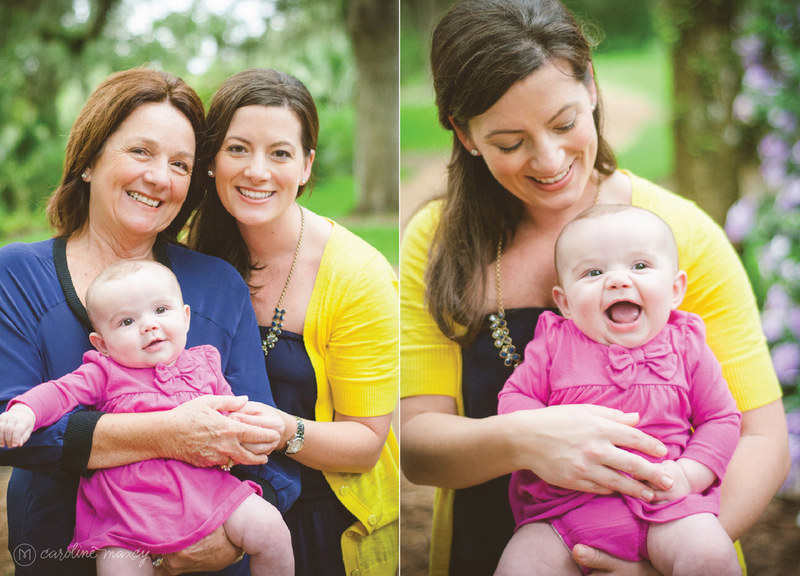 I've been capturing the Wells family since the girls were just one year old babes, and I was newly back in Florida. This crew is one of my originals which means they have a very special place in my heart. Last year as I clicked away while the girls oooo'd and aww'd over their momma's belly and the baby that was on the way, their little brother. This year I got to see how love grows. 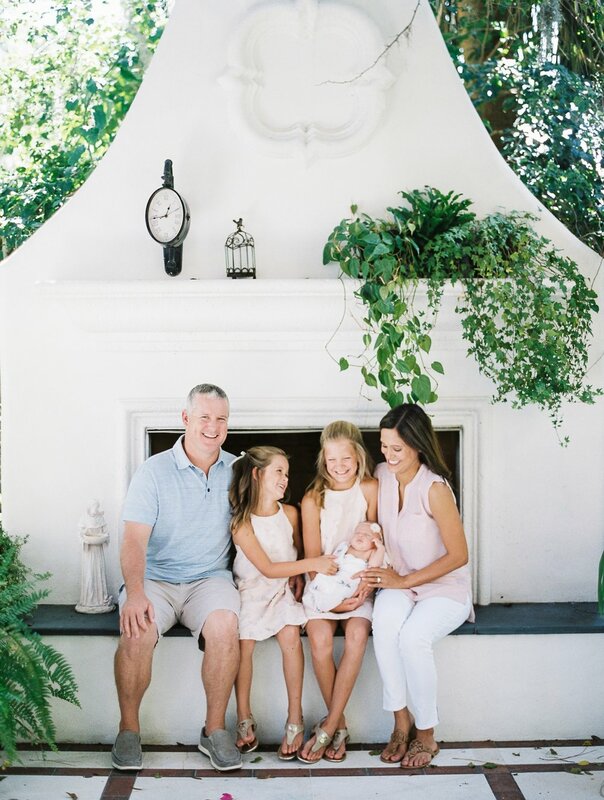 I got to marvel at how two sweet little independent girls have become dotting big sisters and how a little blue-eyed boy brings so much joy to one of my favorite families. For those of us in Central Florida there may not be too much of a crispness in the air quite yet (and we may have a good long while before that happens) but school is back in session, football season is in full swing and "pumpkin" flavored everything has hit the market (written while clutching my warm mug of Pumpkin Spice coffee). So what does that mean? 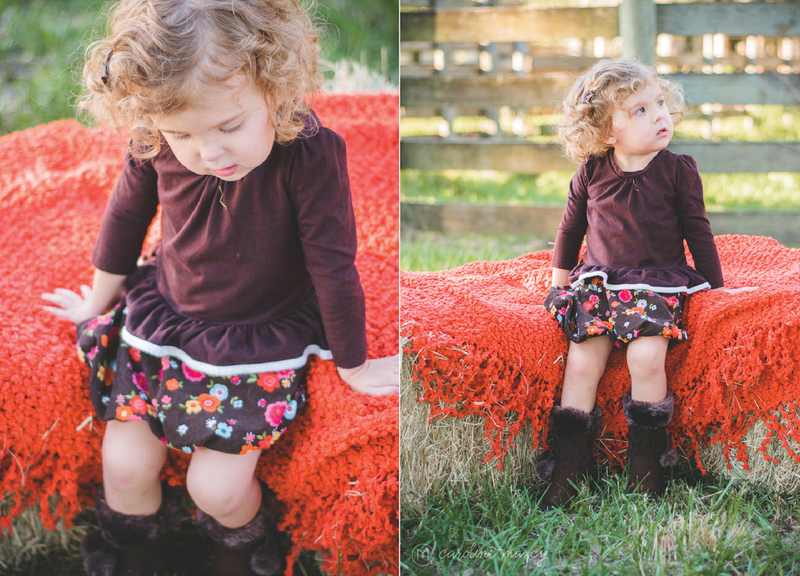 It's Fall Y'all! And with that comes one of my absolute favorite times of year as a photographer. It is when families gather in the most beautifully coordinated duds, brushes tucked in back pockets and promises of ice cream have been discussed in the car ride over (if the kids are good, but seriously aren't they always?). 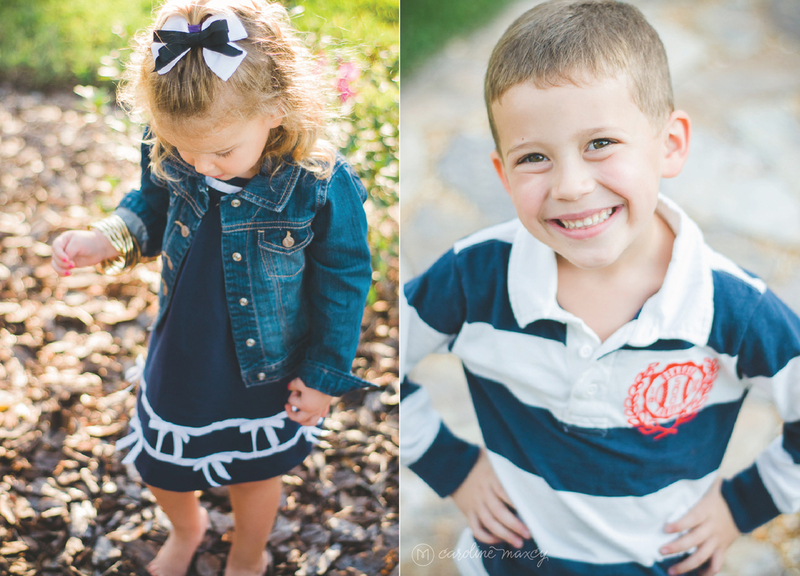 It is fall family session time. 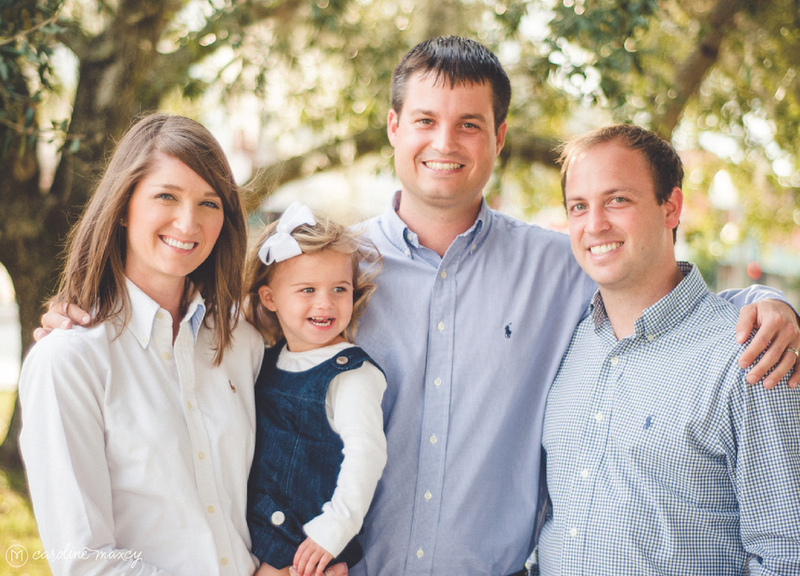 That time when you not just get a gorgeous photo (or five) to include on this year's holiday card but you also get to capture this sliver of time in your family's lives, when a year from now you will miss the roundness of their cheeks or the way they were missing those two front teeth. 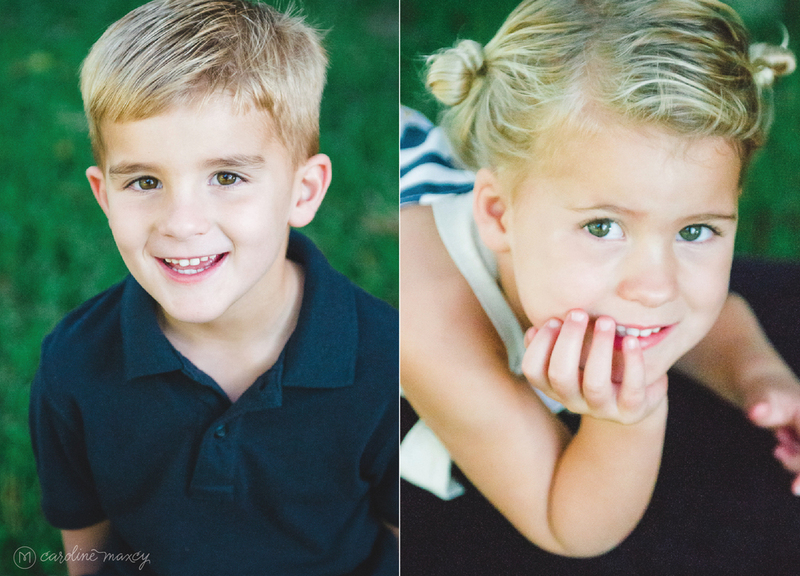 And every year I get all sentimental about how the kids I had in front of my camera 12 months ago are growing up (*tear), how they call me Aunt Carrie from time to time and how we get to wander about for a bit (sometimes hand in hand with a two year old) at gorgeous family farms and parks and fields while I capture the most precious of images. 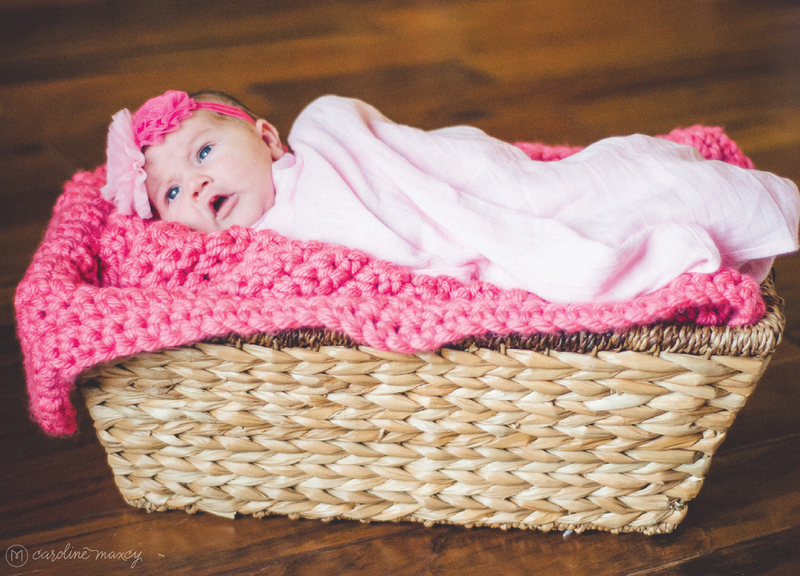 If you haven't got the picture, I love this stuff and while I already have a few sessions in the books for the coming months I am looking forward to the many, many more family's I will get to meet and spend time with while capturing cherished memories this fall. 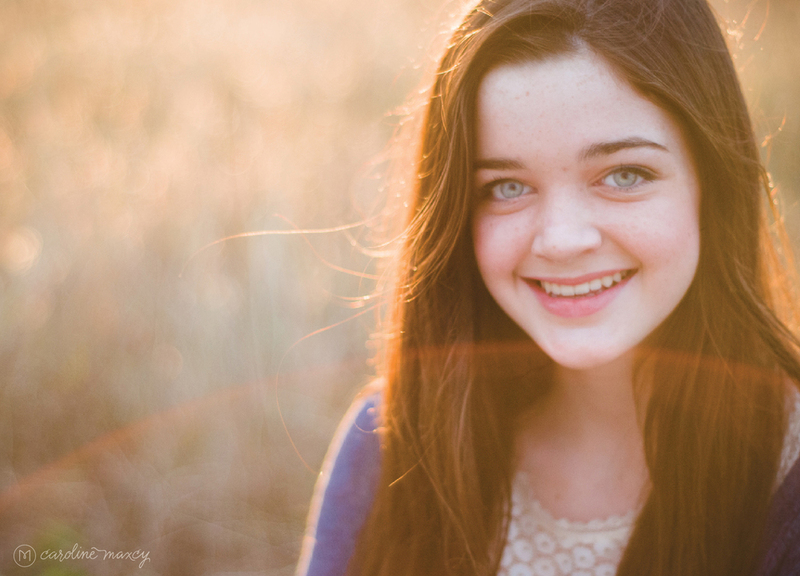 Caroline Maxcy Photography Associate Photographer Sarah Sandel. 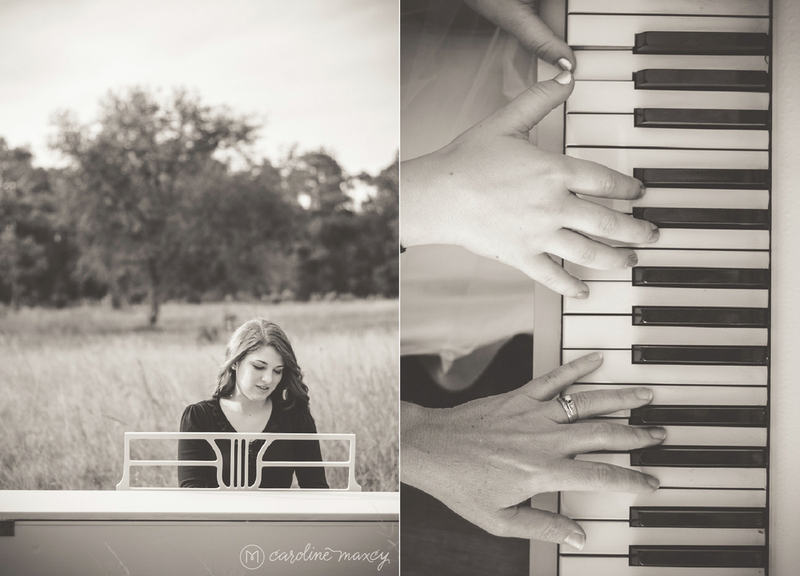 With all this fantastic fuss about fall I am so excited to tell you about the "official" new addition at Caroline Maxcy Photography: starting this fall, Sarah Sandel will be working as an Associate Photographer with CMP! 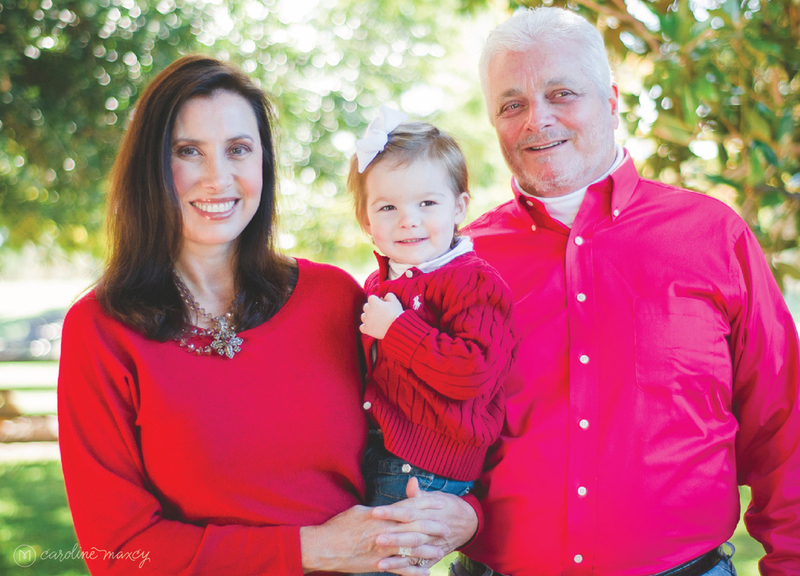 You may know her name - she's photographed families and couples around our community for over five years and is the co-inspirer behind This Is The Day Workshops. She and I have worked together on countless weddings and projects over the past three years and we're delighted to have her on board in this capacity. What this means for you, dear reader, is that CMP is able to handle even more clients this fall! 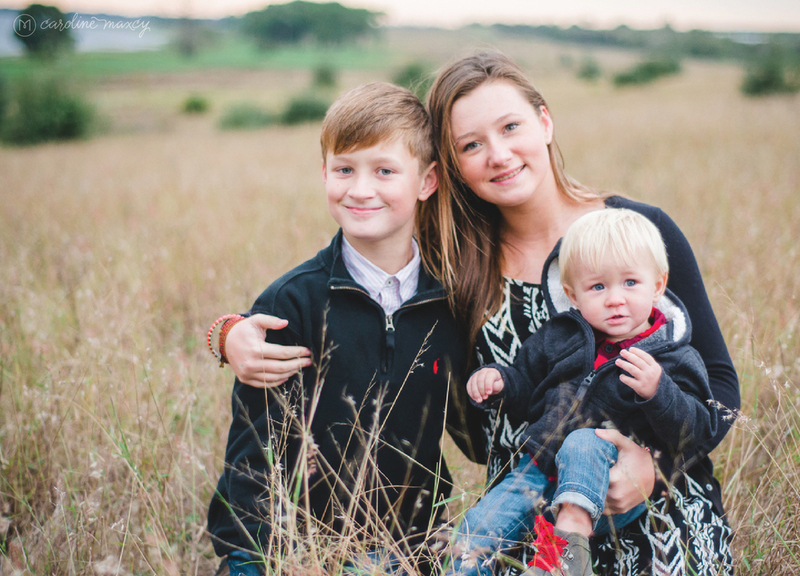 As our Associate Photographer, Sarah will be responsible for photographing the limited number of mini sessions that CMP offers as we prepare to enter the holiday season. 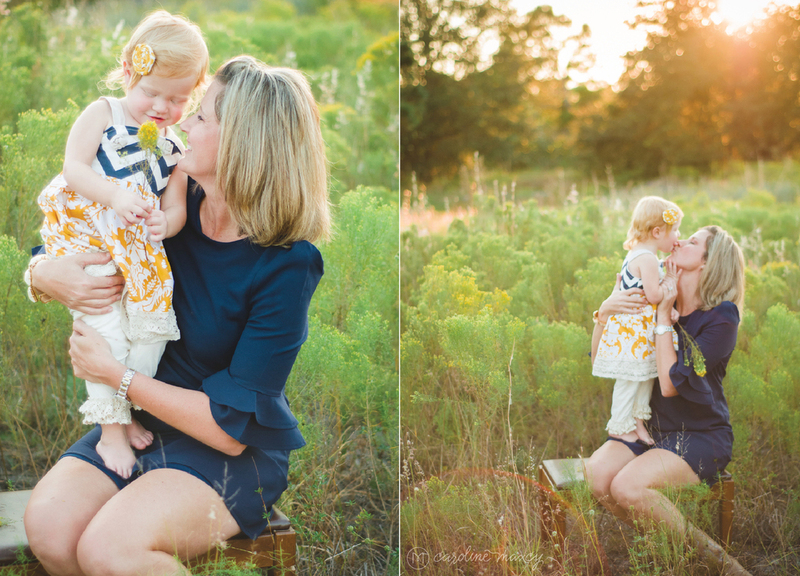 Her creativity and fresh look on families and children is a perfect fit for us and the best part is that we're able to collaborate on each mini session: Sarah will be meeting with and photographing families and the post-processing will be completed by myself (that's me, Caroline), so you get the best of both worlds! 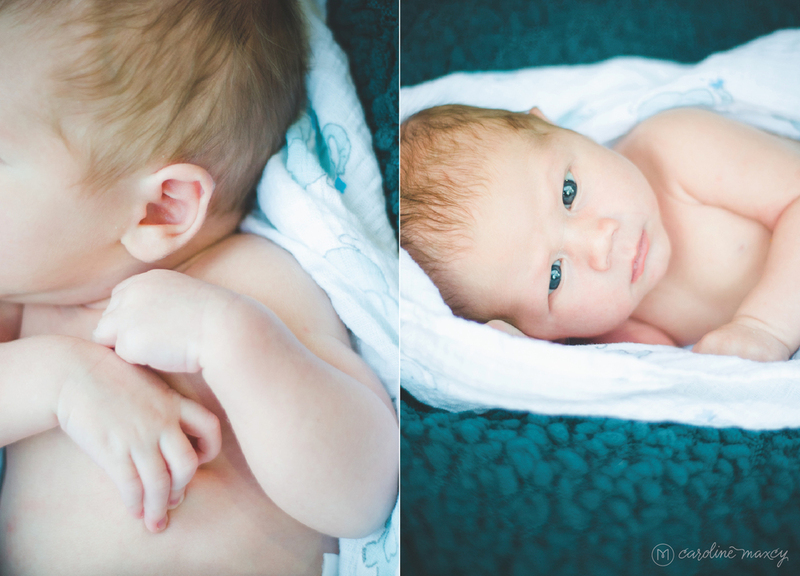 Fresh images created by Sarah, processed by Caroline with the classic CMP look you've come to know and love. But don't take our word for it - you can see for yourselves with the image gallery below! So here are the details that will help make your fall session the best yet! 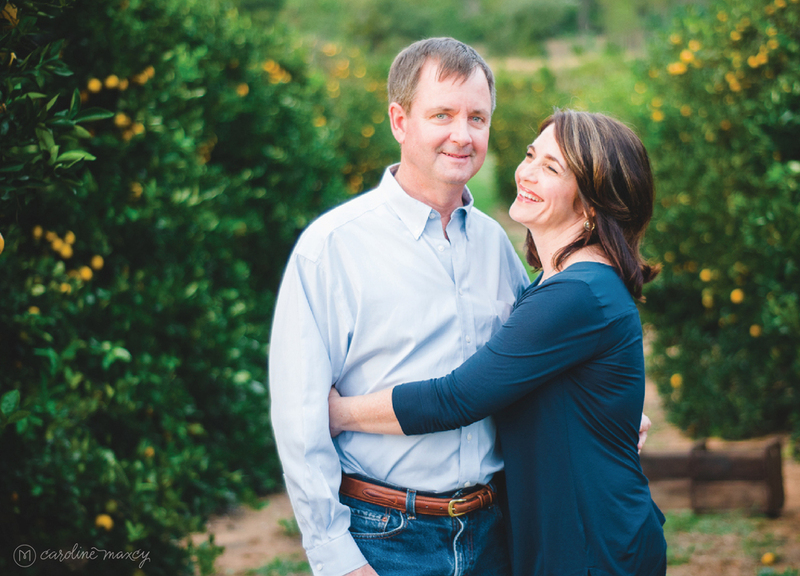 If you're looking for a full and leisurely session, designed to tell a larger story and capture a large number of images, you're probably wanting to book a Fall Complete Session. 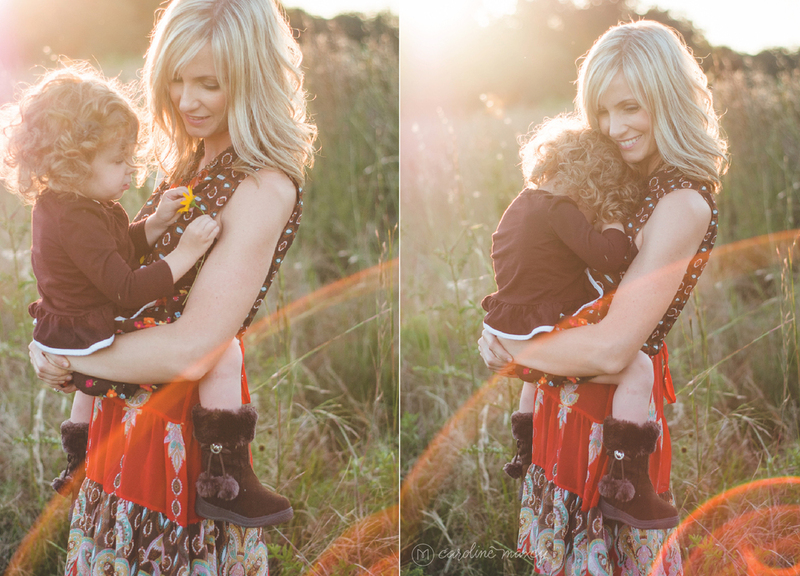 During this 60-90 session, Caroline captures your story from cover to cover and all the little details in between. 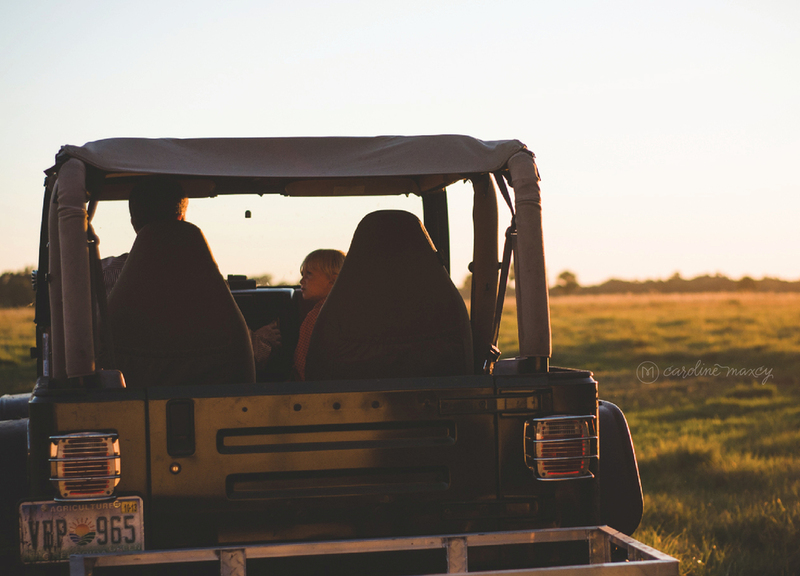 You can relax and meander and share the laughs and stories that your family is made of while capturing framable family memories along the way! 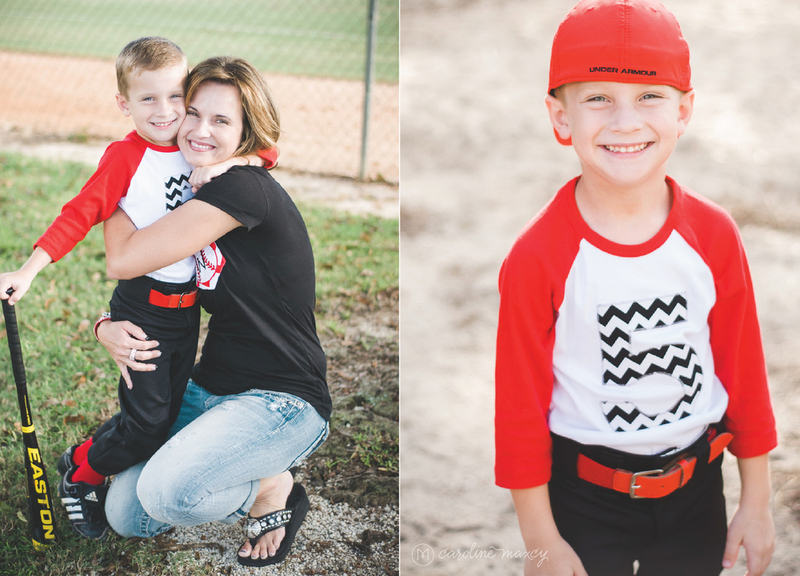 If what you're looking for is more compact, designed to capture select images of your family at this time of your lives, you probably are in the market for a Fall Mini Session! 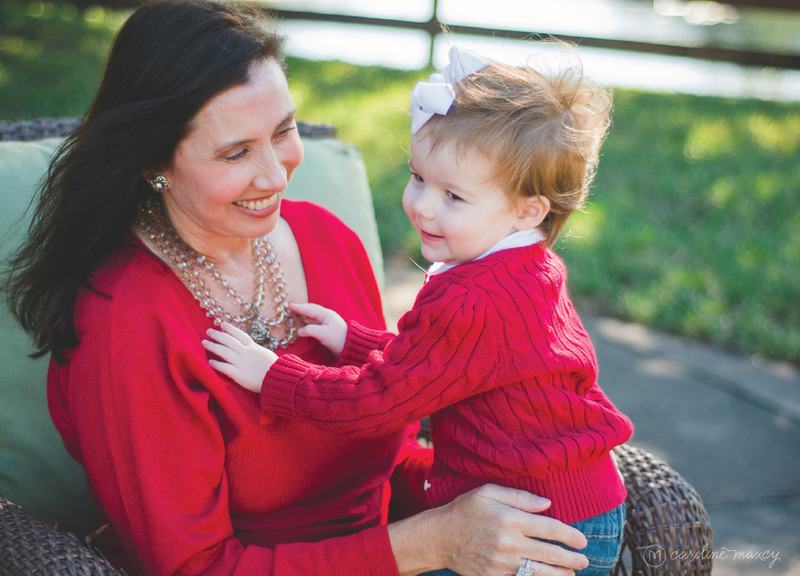 During a half-hour mini session with Sarah, you can look forward to telling the happy little story of your family and capturing images perfect for holiday greetings, family albums, and that big empty frame on your mantle! 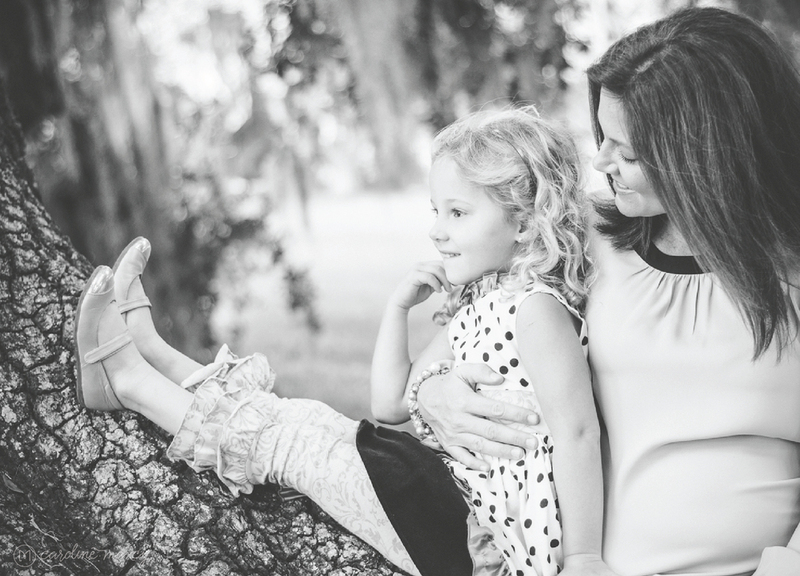 You can [click here] for more details on what's included in the CMP Fall Complete and Mini Sessions and to book yours today. 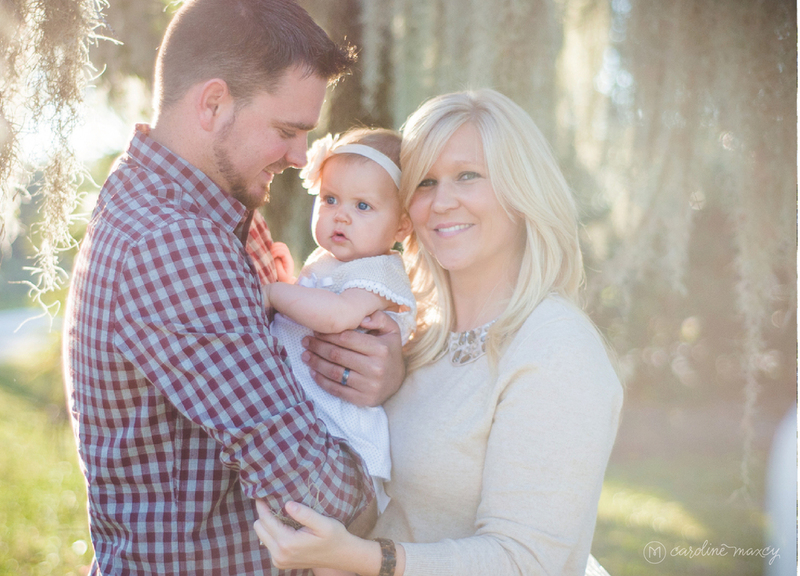 We can't wait to meet your family and capture your happy story this fall! 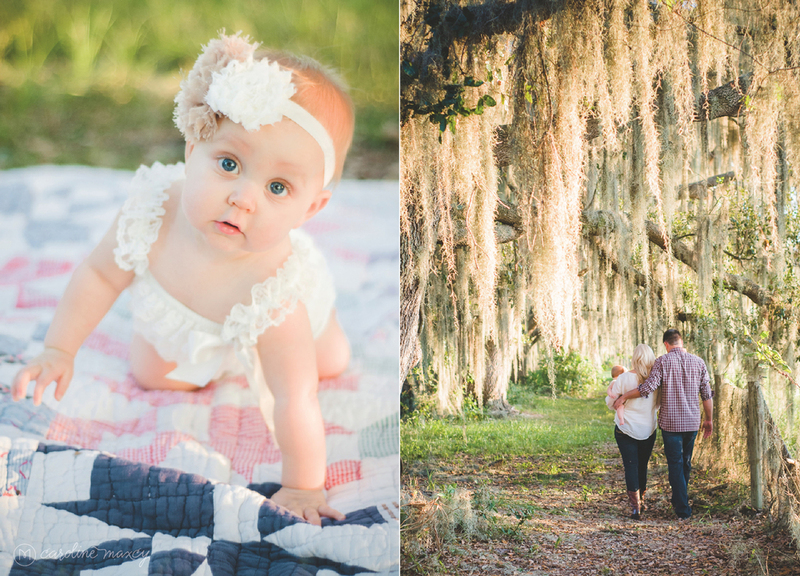 Brace yourself… this central Florida family session you are about to see is gorgeous. And I'm not tooting my own horn here, it is all them, the setting, the hour and the evident love. 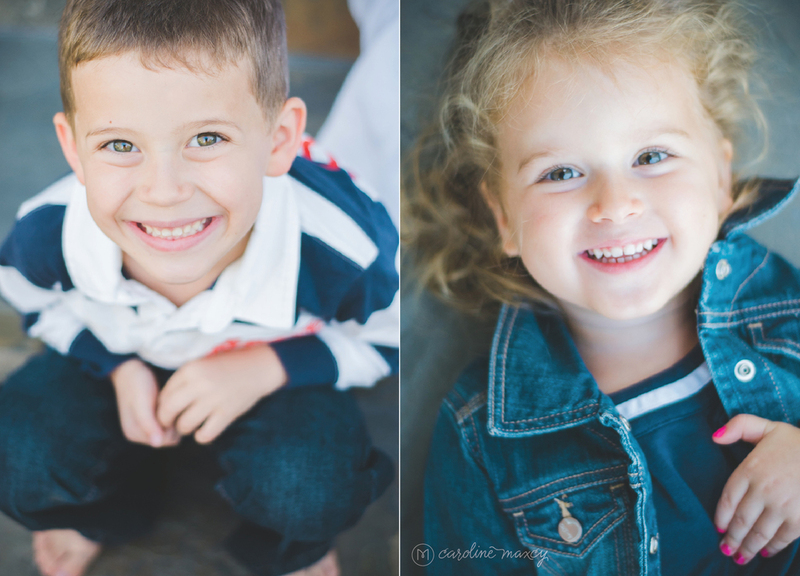 When a fellow photographer (and my second shooter from time to time) Olivia contacted me about photographing her extended family at their family ranch last spring I couldn't even begin to imagine the beauty that would in-sue. 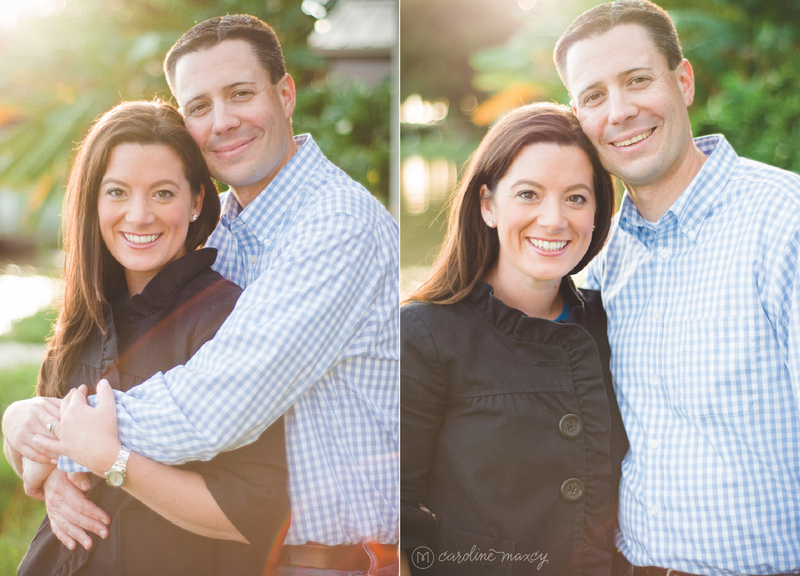 Following the two mile long winding dirt road into their property just before "golden hour" is where it all began. It was breathtaking old Florida gloriousness! I got there just in time to catch a gender reveal celebration (its a girl!) 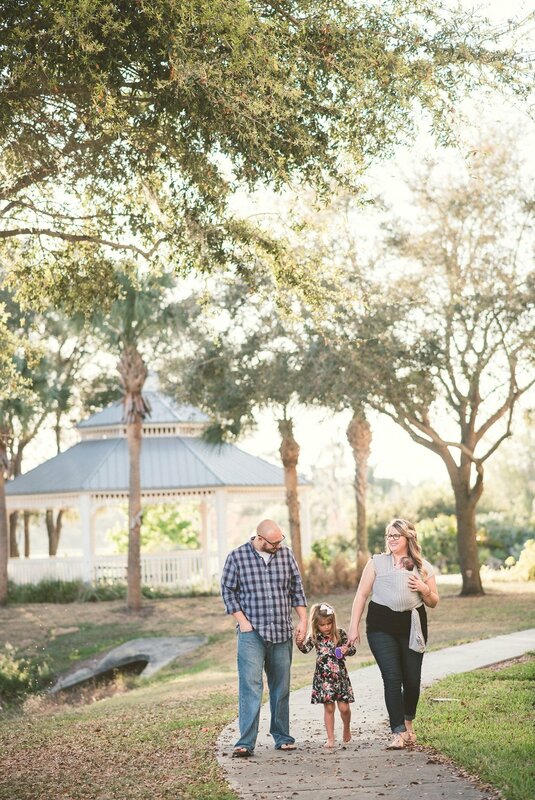 before we wandered around the property catching golden light, lots of laughter and images of a family full of so much life and love. 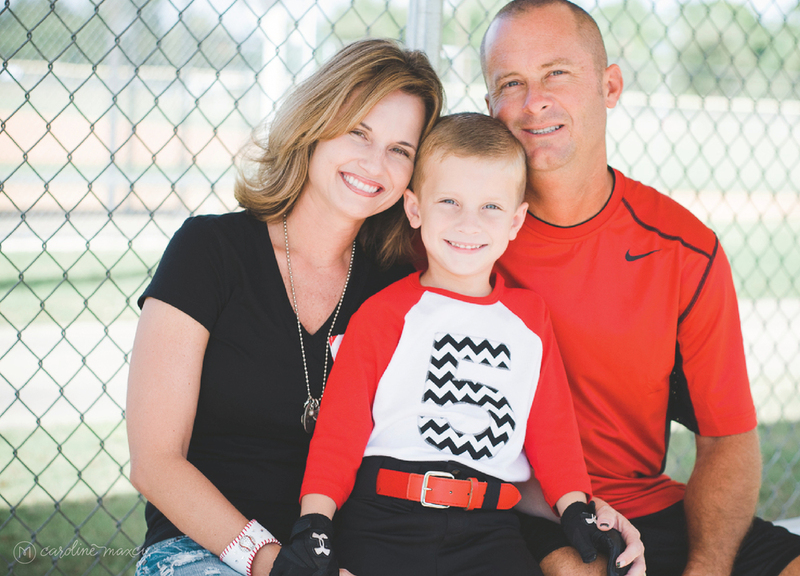 Thank you Bone Family! 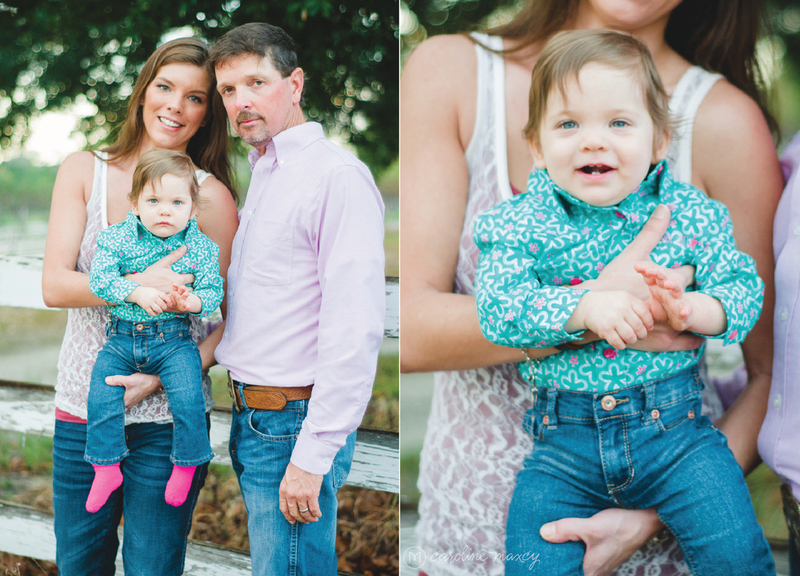 Just had to share a peek into my afternoon on the Anna Maria Island beach yesterday with this sweet Tennessee family. 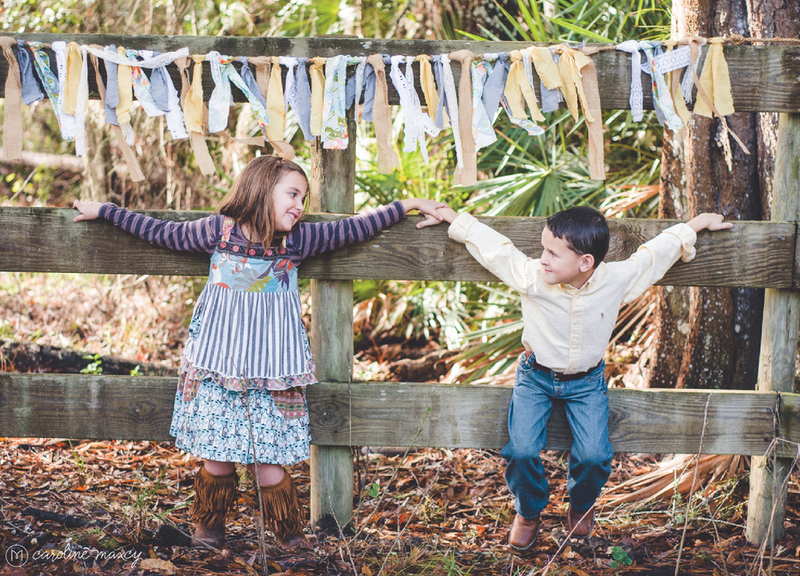 Anna Maria Island and Holmes Beach Family Photography with Caroline Maxcy Photography. I literally started putting together this post two whole months ago. 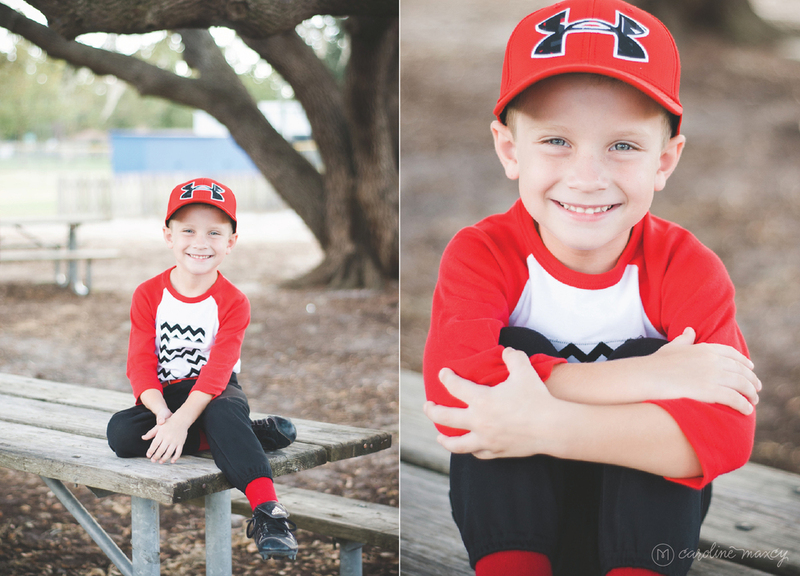 My Throwback Thursday to last fall when over the course of three months I gathered with 20 or so families to capture their growth, capture their love and, let's be honest, capture their Christmas Card photos for the most part. :) It is one of my busiest and most favorite times of year. But it is also that time of year when photos get packaged and sent off on discs to happy families and then they sit on my hard drive for forevermore. 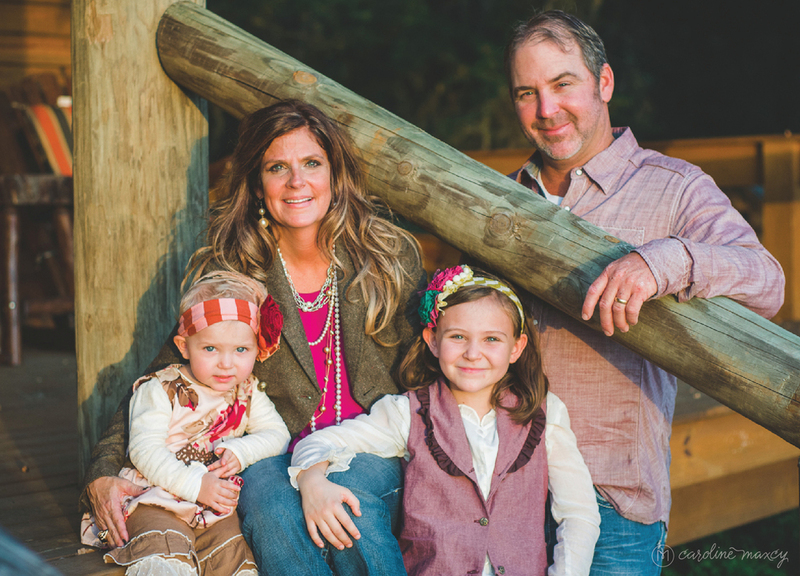 So today on this Throwback Thursday I share with you, in probably one of my longest posts to date, a little glimpse into what I was blessed to capture in my 2013 Fall Family sessions with some of the sweetest families I know. Thank you to the families that continue to invite me in year after year and thank you to all the new families I met along the way! When I moved back to Florida just over 3 years ago I dropped my things off in Sebring and the next day hopped on a plane to Mexico with about 40 folks from my home church, Bible Fellowship Church. And in that crew was, you guessed it, the little miss Rachel Patterson. Who knew that this complete stranger, the pastor's daughter, would become one of my absolute favorite people. The girl still tells the story to this day, "You know Carrie, I really didn't like you when I first met you…" "Yes, Rachel we have gone over this. I know." I am not quite sure what she didn't like about me. I mean, what's not to like?!? Ok, so you should probably know if we ever do have a conversation, I am a rather sarcastic person; my whole family is (except for maybe my mom, she tries…). My sarcasm is especially heightened when you pair me up with the Queen of All Sarcasm my dear cousin, Bianca. And you guessed it again, Bianca and I were in full force on this trip. That maaaaybe could have rubbed that little lady the wrong way. Although I am sure she could share with you the "real story" in full detail as to her disdain. All that to say, she totally LOVES me now. I eventually won her over with my wit and charm and especially great advice. This is an extra good thing considering I have been her youth group leader for coming up on 3 years now. We have studied the word of God on quilts on the church lawn for two solid years. We have worshiped together side by side lifting our voices with our ukuleles in hand all the way from the BFC sanctuary to a dormitory for special needs children at an orphanage in Mexico. 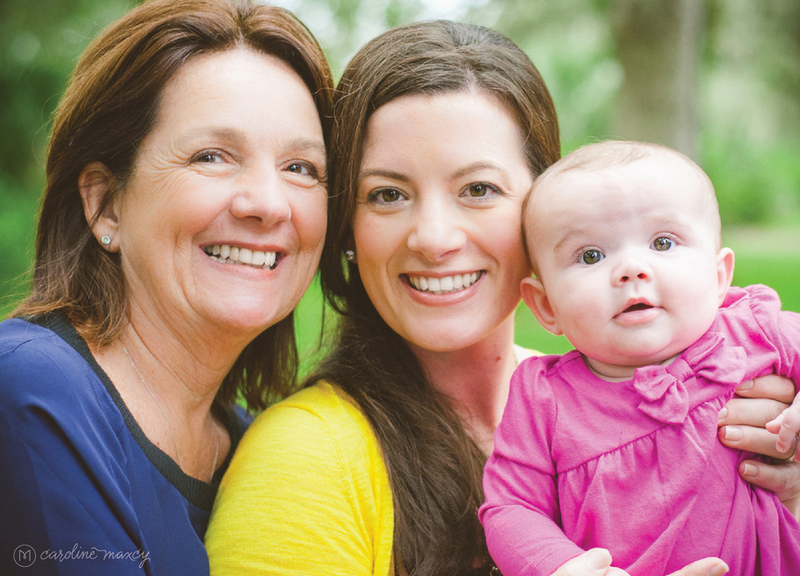 We have journeyed to women's bible conferences, nursing homes, to Mexico and back… twice. I have prayed for her daily. I have walked by her side. I have heard her heart. I have watched her grow. I have watched her lead. This girl is the real deal. 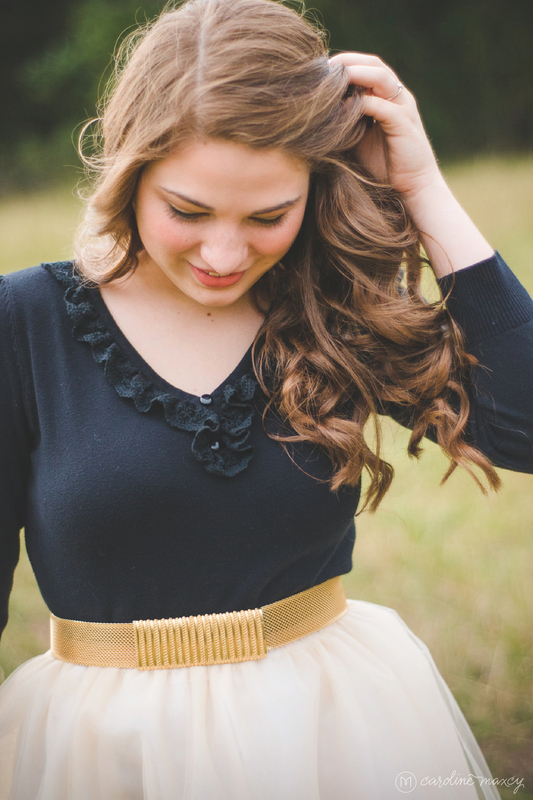 Rachel is the rock of our youth group and the core of our worship team at BFC. She is a leader through and through and does it all with a genuine openness, a contagious smile and a gentle heart. And this isn't even saying anything about this girl's undeniable musical gifting. She is blessed beyond imagining. The more and more I talk about this young lady the more and more I realize how big the hole in my heart will be when she is gone. Even though I may not have "disliked" Rachel when I first met her, we did just start out as mere acquaintances. I can now say I have grown to love the girl too. 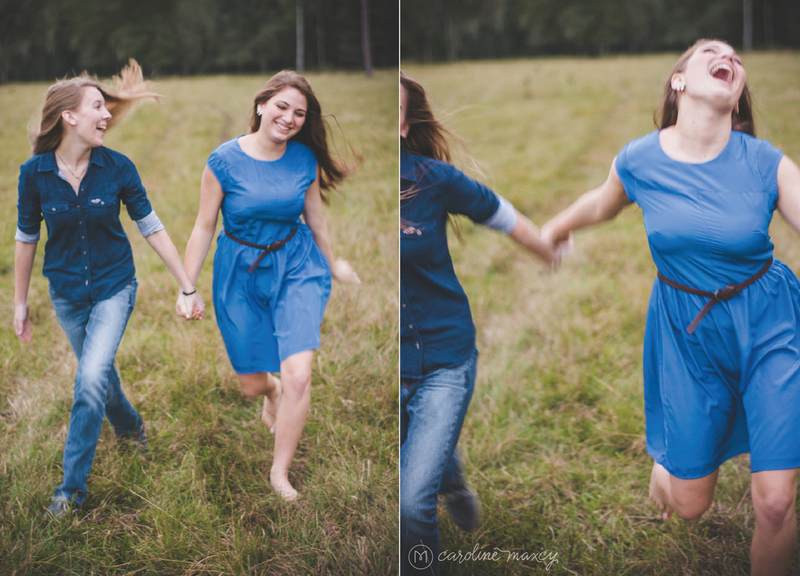 Which makes this particular senior session a little bittersweet. 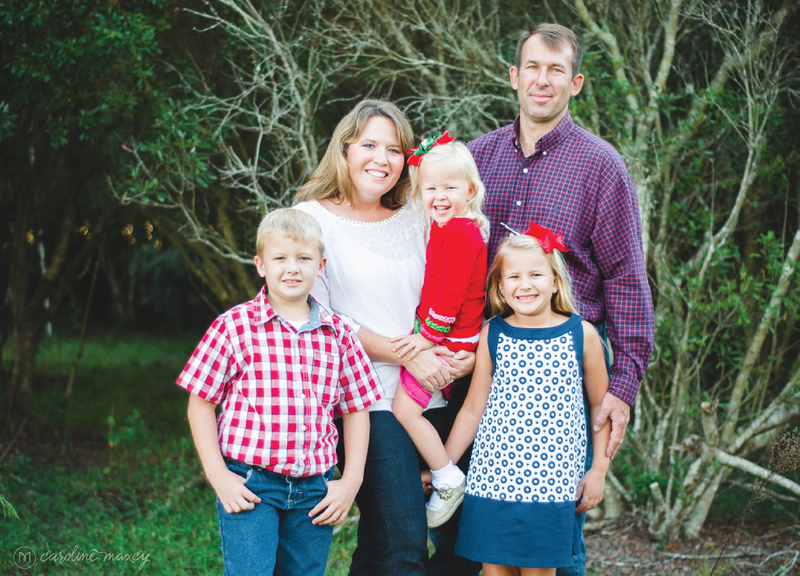 While I have been here pouring into Rachel's life, along with a handful of other extraordinary folks, I have been learning first hand what it means to make disciples. Who knew that "go" for me would mean coming home? And while as a leader Rachel too has been pouring into lives at home now she is planning to go, just as His word has instructed. She is going to do extraordinary things. I am so sure of this because out of all the things this little lady is gifted in (music, leadership, friendliness, incredible hair and on and on) the most amazing thing I have watched happen in her life over the past 3 years is that that she has allowed the hand of God to shape it. She has studied His word with fervency and has allowed it to change her life. She has remained obedient even when it was hard. She has made tough decisions in the face of adversity. She has honored her God. And I have no doubt that she will continue to do that for the years to come no matter what this world may bring her. Rachel is an idea person. She's creative, a dreamer and determined all wrapped up into one, and I absolutely adore these things about her. 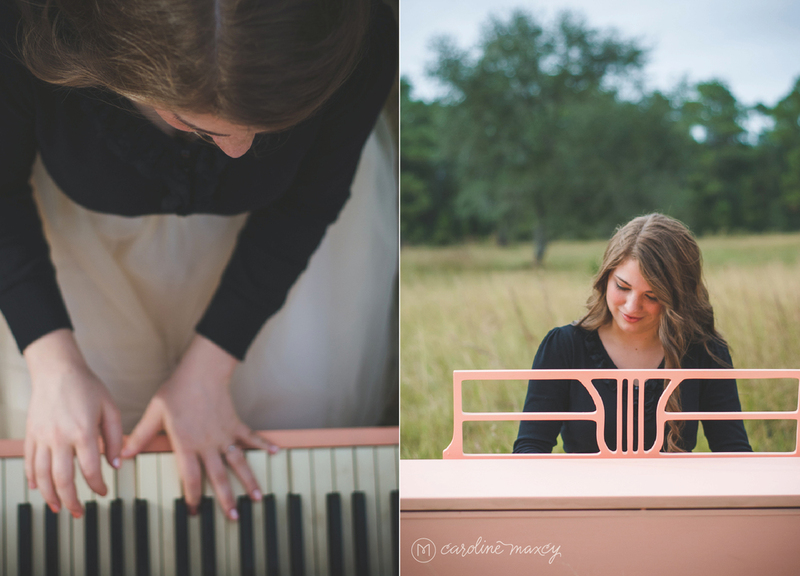 About a year ago when Rachel and I started talking about her senior photos she had an idea, a painted piano in a field. 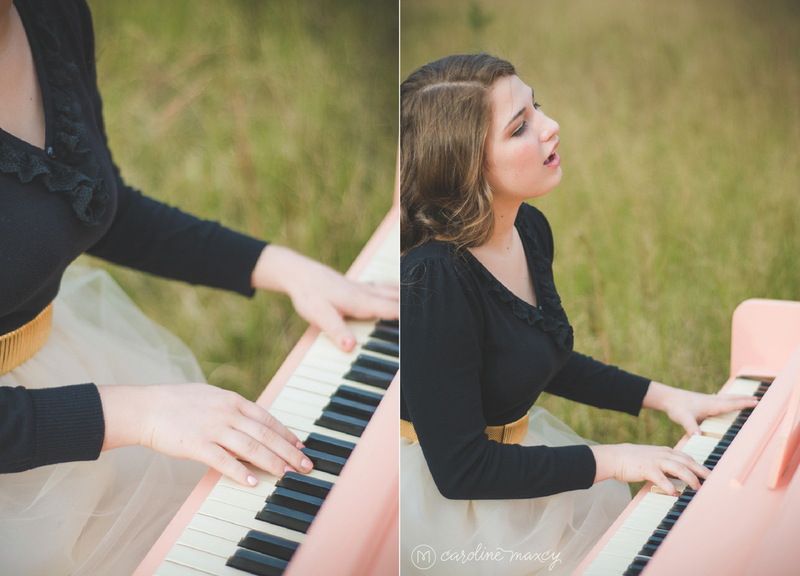 Most people just thought it was a crazy idea, especially her dad who would more than likely be moving the piano. (Have you ever tried to move a piano? Those suckers are h-e-a-v-y.) 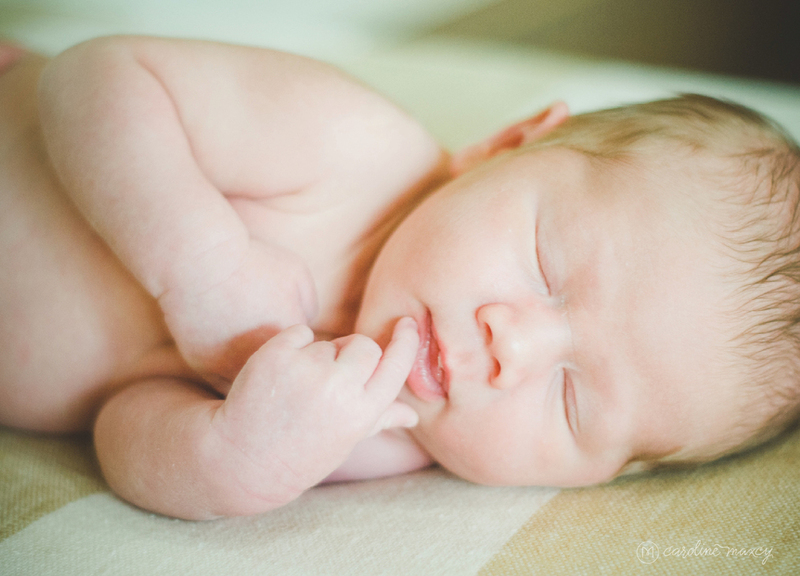 But you can only imagine the visions of photo-session-lovliness that were already taking shape in my head. This was totally going to happen. 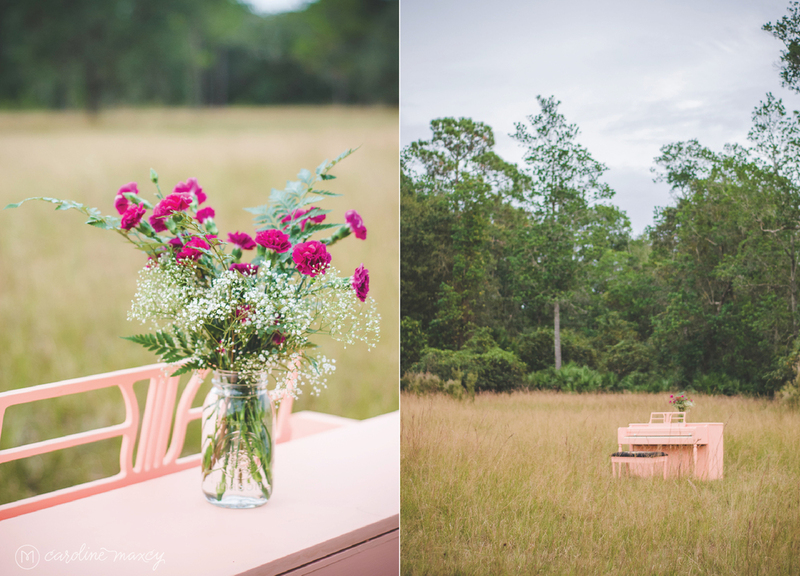 Come November 25th we arrived out in the most gorgeous field with the most magical breeze and a team of strong fellas (including Rachel's dear dad and brother too) to move the blush pink painted piano to just the right spot amidst the tall grass. Voila. 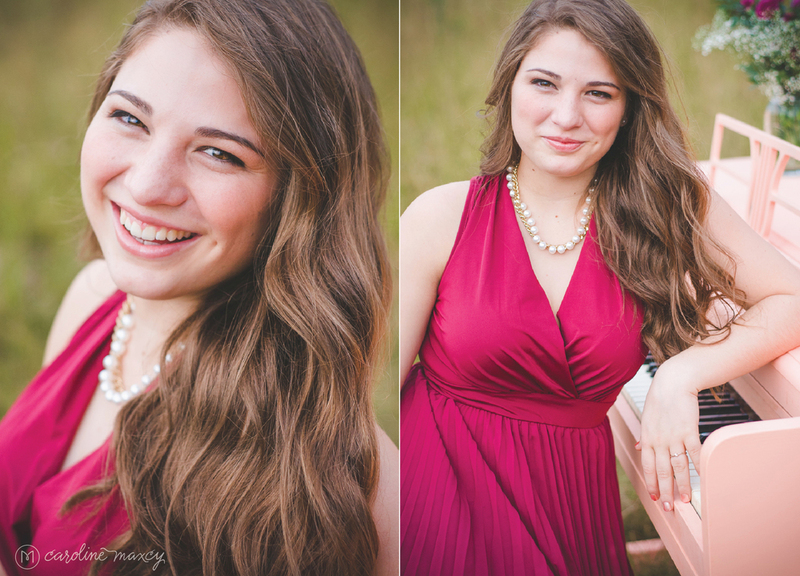 Senior Session Dreaminess in full effect! Thank you Rachel for allowing me to be a part of your life, a part of your growing and a part of your super amazing senior photo session! I can't wait to see what the Lord does with your life and in all that the "going" brings! 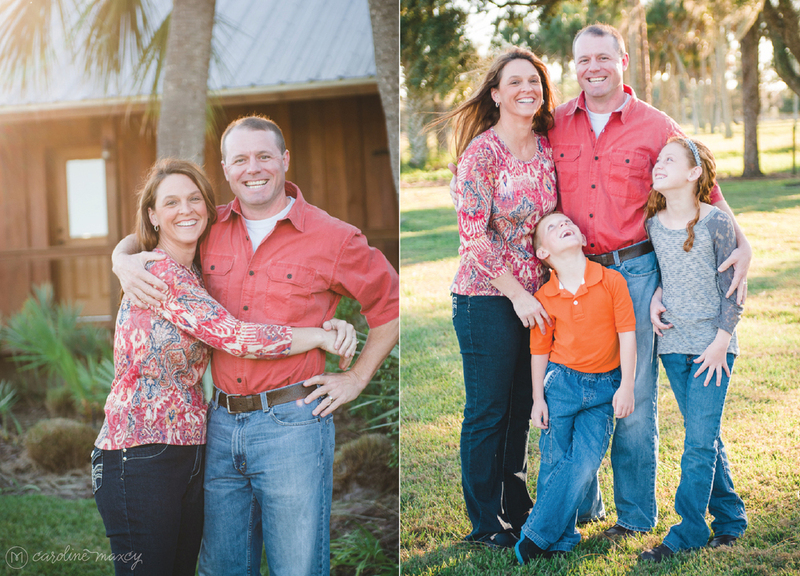 And we even snuck in a mini-family session while we were at it. I mean, why not take advantage of a beautiful day, a magical breeze and a happy, handsome family all in one place. 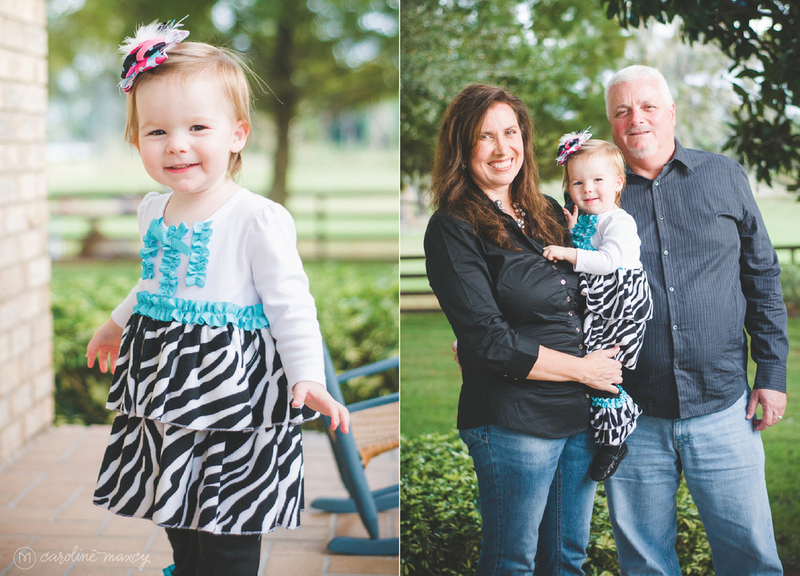 I <3 those Pattersons!